Spiral Garden Savory produces an assortment of fresh veggies, herbs, mushrooms and prepared goods. I grow on one tiny garden plot located on the north side of Lake Iamonia. Working such a small space teaches me every day about the versatility and curiosity necessary to love farming. 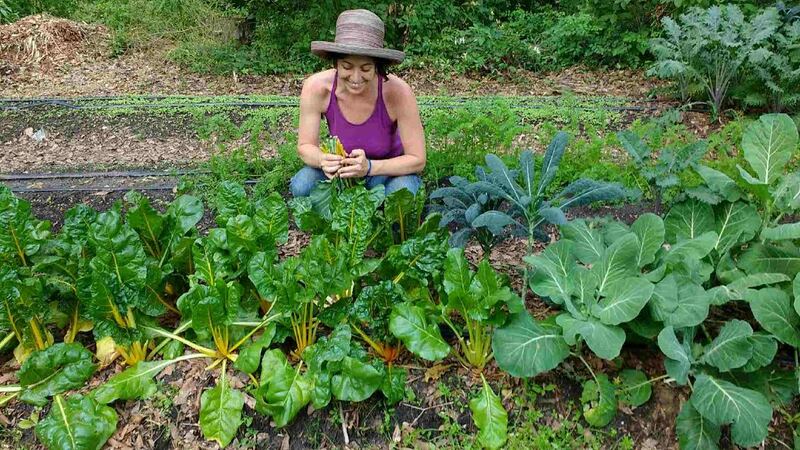 My growing practices are heavily influenced by Permaculture Design and I strive to improve soil, provide wildlife habitat and grow great food! In short, permaculture means -earth care-people care- fair share- Take care of the land, take care of the people, and take care that everybody is taken care of well. I grow with no chemical fertilizers, herbicides, pesticides or anything else of that harmful nature. What I do buy is OMRI certified. Crop rotation, cover crops, and vermi-compost provide the body of amendments to my soil. I have worked to create beds that retain moisture thereby minimizing my need to water. By designing garden beds with the lay of the land and sky, eschewing mono-cropping and creating wildlife habitat I feel confident in offering you nutritious, happily harvested FOOD! Recently I have also begun growing in an aquaponic greenhouse a few miles south of Havana. This style of growing is a unique challenge in which healthy fish and plants benefit each other through nutrient transfer and water aeration/filtration. Plants are grown in rock 'grow beds' that also utilize worms and their cast to encourage plant growth. There are no chemical fertilizers, pesticide, or herbicides on my land or in the greenhouse. I minimize my water usage, create wildlife habitat and do not till. Organically grown from seed to table and happily harvested!